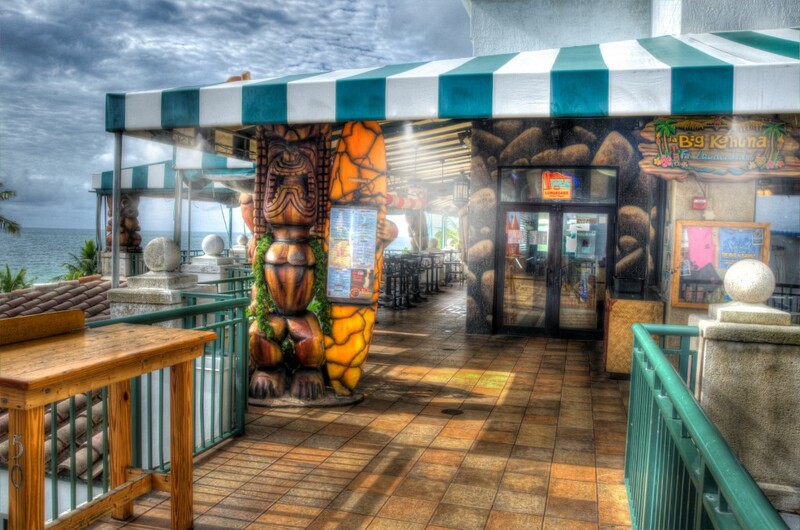 Outdoor Cooling System at Da Big Kahuna at Beach Pleace in Fort Lauderdale, Florida. 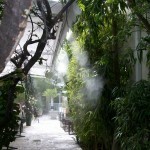 Outdoor Cooling Systems installed this high pressure misting system in may of 2010. We returned for the regularly scheduled maintenance and took this photo in the morning, before they were open for business. 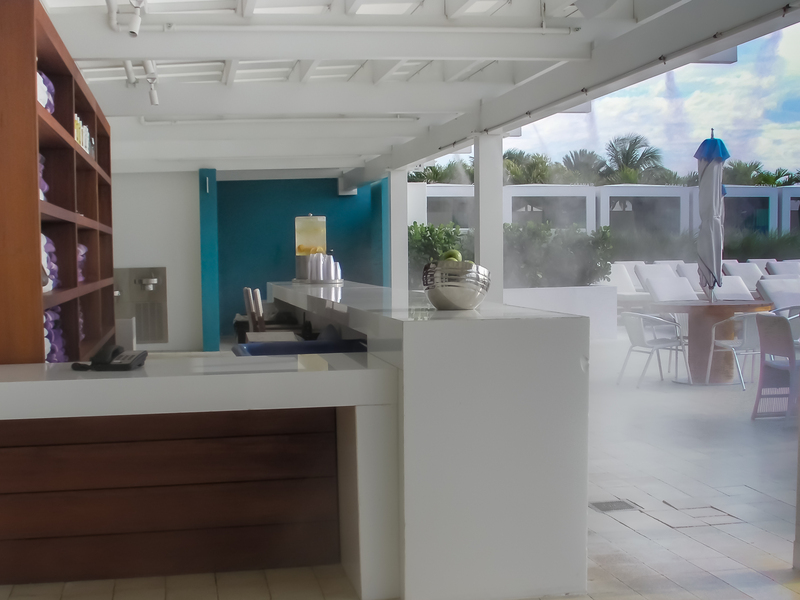 This misting system uses the prevailing winds to distribute the cool air throughout the dining area. 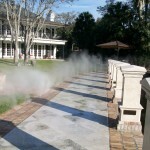 Misting Direct brand equipment was used for this installation. 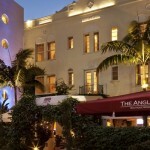 Outdoor Cooling Systems Installed A High Pressure Misting System at this South Beach boutique hotel. 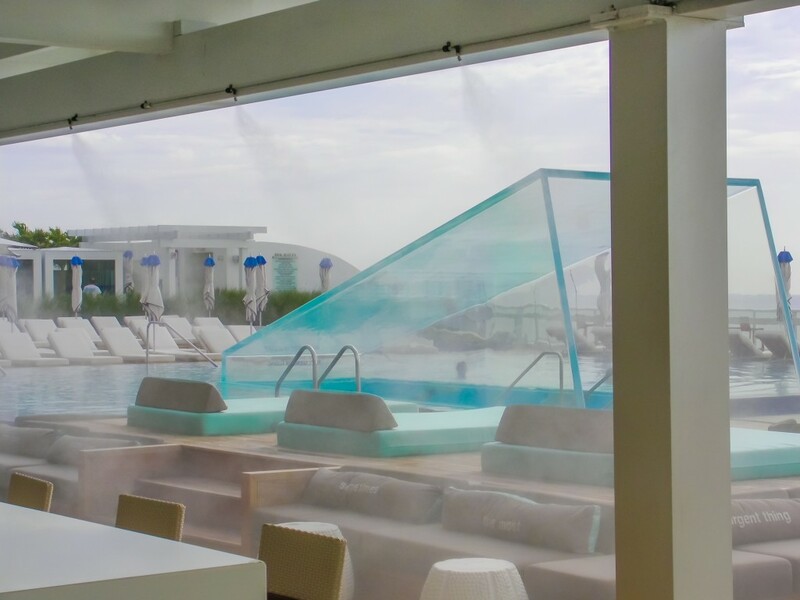 Outdoor Cooling Systems was chosen to install a Misting Direct brand high pressure misting system at The Angler’s Boutique Resort in Miami Beach’s iconic South Beach. This system includes 3 independent zones. 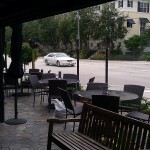 Zone 1 is for a covered outdoor dining area at the hotels entrance. 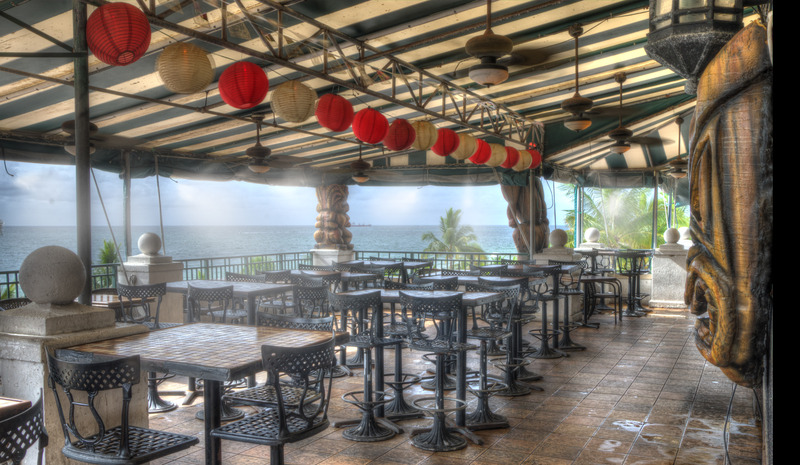 Zone 2 is for an outdoor dining area on the north side of the building and zone 3 is the retractable awning in the same area. 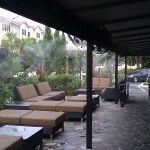 We have developed a system of installing misting systems on retractable awnings. 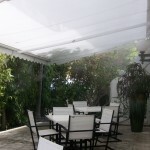 The awning can be open and closed as desired even with our adjustable nozzle extensions attached. 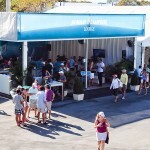 We are able to install our system without drilling holes into the awning frame. A Misting Direct brand industrial duty misting pump was installed for maximum reliability and durability. 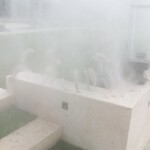 Ruby misting nozzles were used to create an ultra fine mist. These nozzles have a powerful anti drip valve built-in to prevent the nozzles from dripping after the system is shut off. 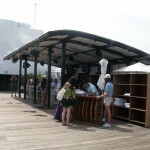 Misting nozzles were installed by Outdoor Cooling Systems on this retractable awning in South Beach. 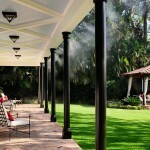 Misting can be seen emitting from the Misting Direct brand adjustable nozzle extensions. 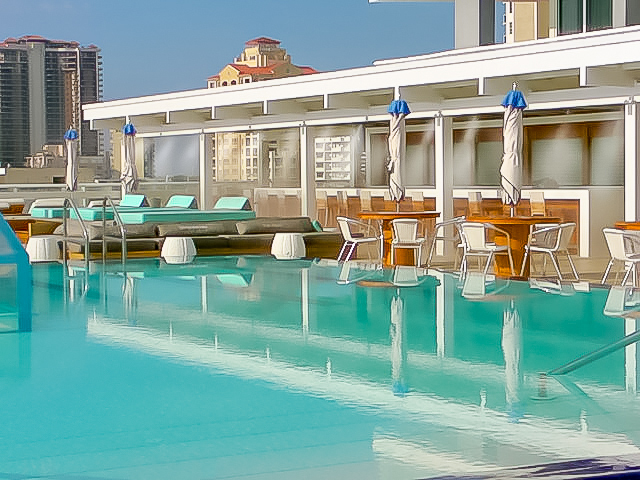 Adjustable misting nozzle extensions were installed around the perimeter of this awning of this Miami Beach Boutique Hotel. 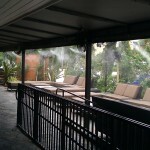 Misting Direct brand equipment was used to create this misting system installed on a retractable awning. 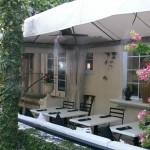 The misting nozzles around the perimeter of this awning cool the customers on even the hottest days of the year. 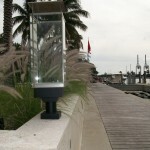 Built-in high pressure misting system with no visible tubing in Fort Lauderdale, Florida. 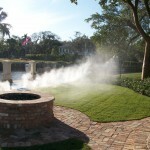 This high pressure misting system was installed in the Rio Vista neighborhood of Fort Lauderdale Florida. 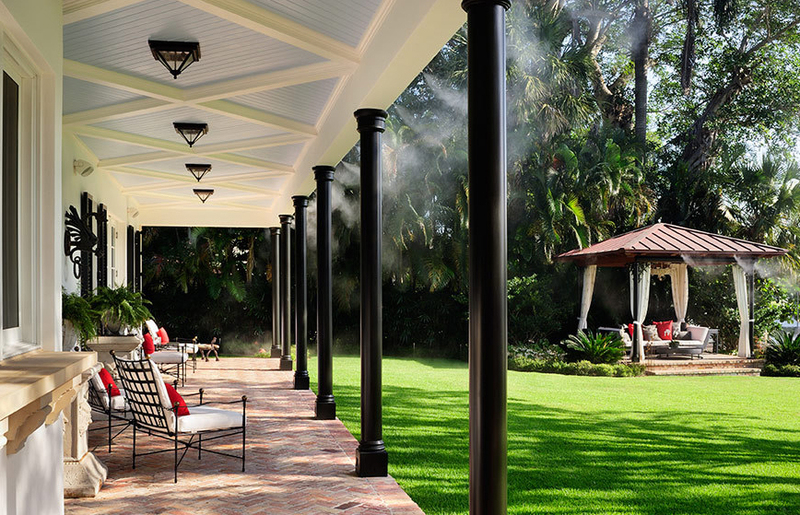 Outdoor Cooling Systems was selected to design and install this misting system during the construction process. Our Misting Direct brand type 316 stainless steel tubing was hidden in the structure for the cleanest possible look. The system is divided into three automated zones. 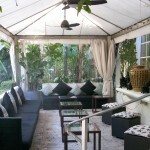 The patio zone was installed behind architectural molding along the length of the patio. The seawall zone has stainless steel tubing embedded into a grout joint between the bricks. The cabana zone has copper tubing installed along the copper flashing for and is barely visible. 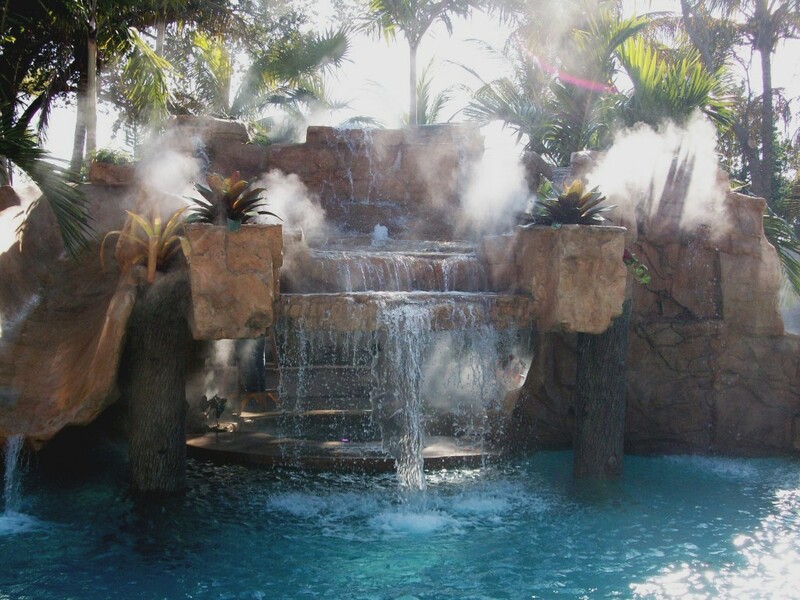 One 2 gallon per minute misting pump powers this entire system. 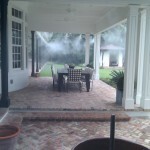 Another view of the high pressure misting system in action. 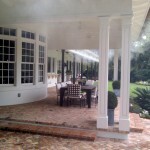 Misting nozzles were installed along outer perimeter of the patio. Stainless steel tubing was embedded into the architectural molding. 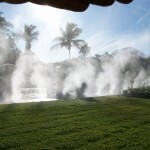 The sun lights up the mist in this photo of a Misting Direct brand system installed by Outdoor Cooling Systems. 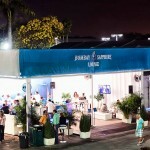 We installed complete high pressure misting systems at the Bombay Sapphire Lounge and at the Veuve Clicquot Champagne & Sushi Bar. 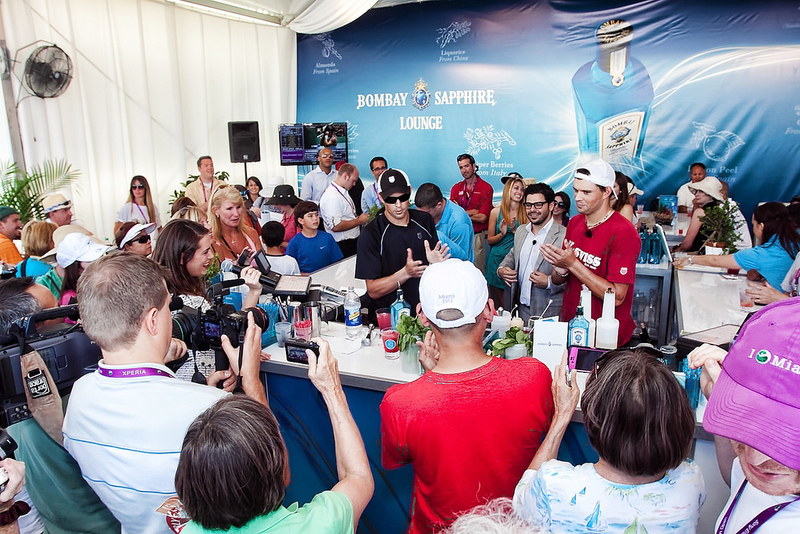 We are pleased to provide professional mist cooling systems for this prestigious event. 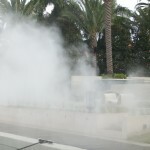 Misting Direct brand equipment was used exclusively. 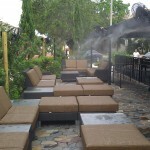 Each location is powered by a 1000 psi misting pump and four 18″ misting fans. The mist is so fine that it evaporates very quickly, cooling the area, even when the humidity is high. 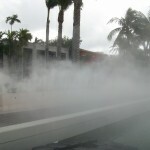 When the mist evaporates the temperature is dropped due to the water changing states, from a liquid to a gas. One of the four 18″ misting fans by Misting Direct can be seen in this photo. 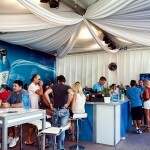 Outdoor Cooling Systems provided this high pressure misting system at the Sony Tennis Open. 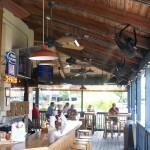 Black 18″ misting fans can be seen in this photo. 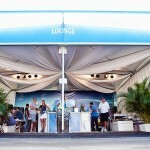 An evening view of the Bombay Sapphire Lounge where our misting system was installed. 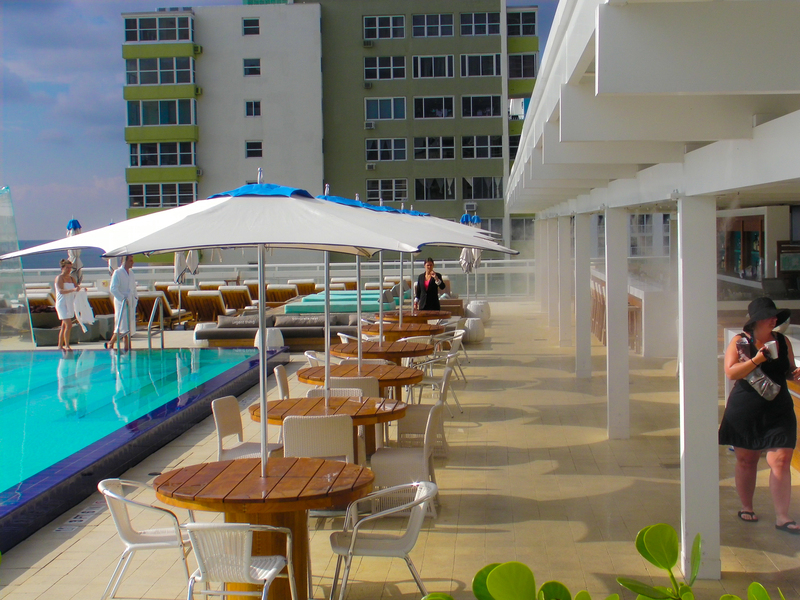 This high pressure mist cooling system was installed by Outdoor Cooling Systems when the hotel was called Gansevoort Miami Beach. 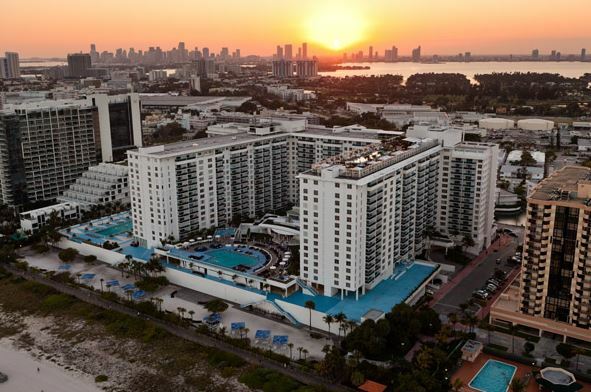 The hotel is now called The Perry South Beach. 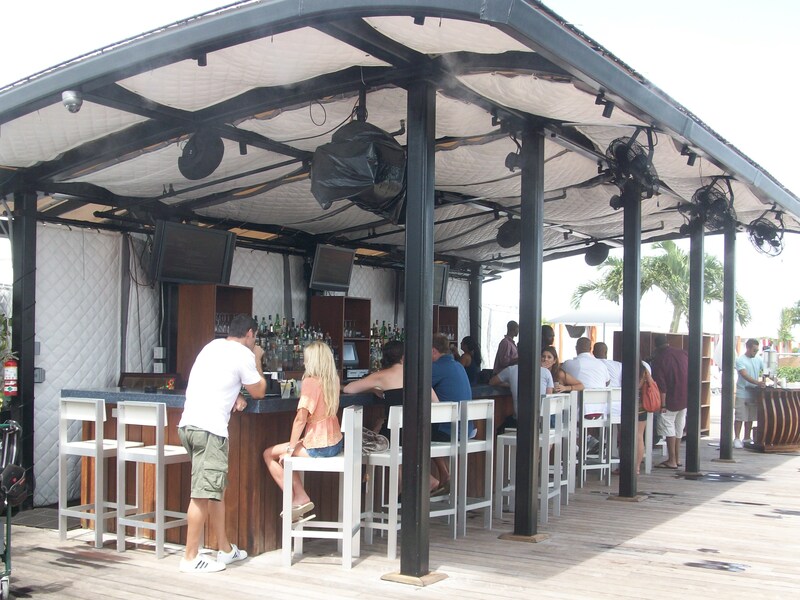 This system was installed at the rooftop bar with misting fans attached to the shade structure with misting nozzles around perimeter. All equipment used on this job in Misting Direct brand. 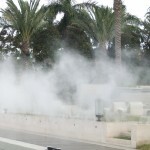 An industrial duty misting pump was uses and is installed remotely. 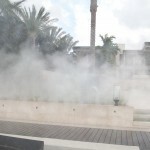 This misting system at The Perry Miami Beach was installed while the hotel was called Gansevoort. 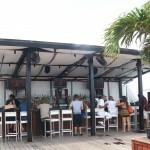 The rooftop bar where the misting system was installed can be seen in the upper right corner of the hotel. 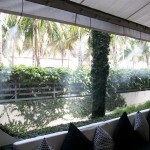 This misting system at The Perry South Beach was installed while the hotel was called Gansevoort. 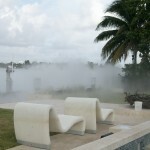 This misting system has misting fans as well a mist around the perimeter of the shade structure. 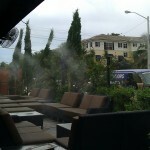 Diners sat down to enjoy the new misting system just minutes after the installation was complete. 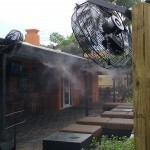 Outdoor Cooling System installed this high pressure misting system at a Hooters Restaurant in Sunrise, Florida. 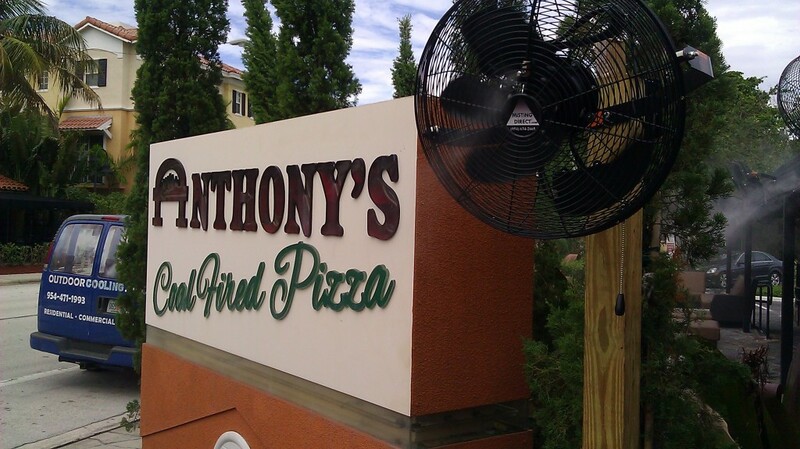 High pressure misting fans are used to circulate the air and evaporate the mist on those hot and humid Florida days. 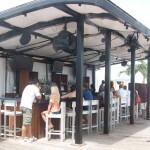 We have designed and installed numerous outdoor cooling systems for restaurants all over south Florida. 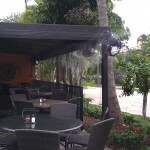 We have also designed and provided misting equipment for restaurants all over the United States and for various international restaurants as well.